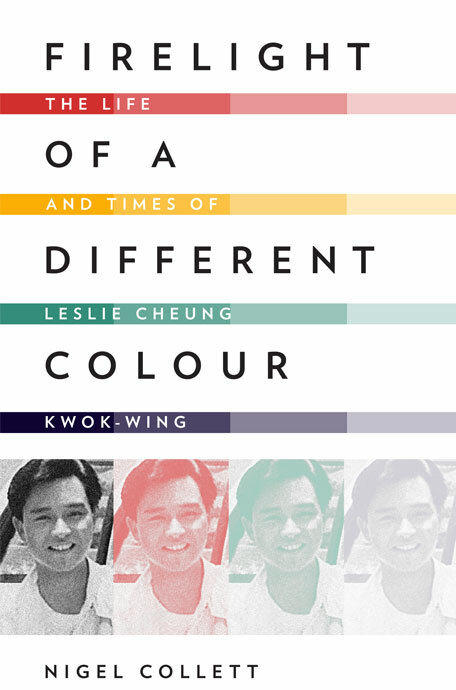 "Firelight of a Different Colour" is a new biography of Hong Kong superstar Leslie Cheung Kwok-wing. The author, Nigel Collett, was kind enough to answer some of our questions about the actor, singer, songwriter, and director about Cheung's stardom and sexuality. What inspired you to write about Leslie Cheung, have you always been a fan? 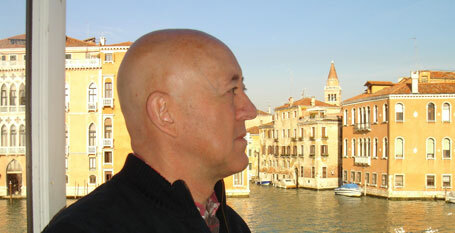 The inspiration for the book was a strange mixture of fate and admiration. I have admired Leslie ever since I first watched Farewell My Concubine but had not thought to write about him until I was introduced to some of the key organisers of his fans in HK, Julie Ng and Jojo Leung of the Leslie Cheung Cyberworld. How that came about was the strange bit. I visited the new offices of my company’s business consultant, Ms Annabella Choi, and on being shown around saw she had a life-size poster of Leslie on her stationery cupboard wall. I asked her why, and she told me her husband edited a Hong Kong entertainment magazine and had interviewed Leslie. We got talking, she told me there was no English biography so far and I was looking for a project. She offered to introduce me to the fans and I jumped at the chance. What do you think made Cheung ‘the greatest Asian superstar?’ Do you think we will see anybody like him again? He had more talent and charisma than anyone in his generation or of whom I am aware in Asia before or since. He was a natural actor, had a voice that could charm the birds off the trees and had a stage personality that was genuine. He was also a very brave man, not afraid to stand out as different, always cutting edge. He was also fortunate to be working at a time when all the industries, TV, film, music were at their peak and working together to allow a multi-talented man like him to flourish. I doubt we’ll see either his like again or the opportunity for another man anywhere like him to arise. Was Cheung’s sexuality accepted, celebrated or ignored? Did he miss out on becoming a gay icon? His sexual orientation was a subject of great difficulty for him for most of his life. Hong Kong and the entertainment industries would not accept it. Not until he became secure enough in his career could he start being honest about himself. For his day, he went as far as anyone could go. It took another 20 years for anyone else to follow his lead. There was no way he could be a politically active gay icon in those days. He is a huge icon to many now. How do you think sexuality interacts with fame and success in the celebrity world of Hong Kong and Asia? If Cheung was at the height of his fame today would things have been different? Yes, things are slowly getting easier. Anthony Wong and Denise Ho have now come out publicly in Hong Kong. But there are so many more who are too frightened to be honest about themselves or are told by their managers not to be. The entertainment industry attracts gay talent then hides it to make money. It is as shameful as sport. Give us a little taster; what was the most exciting/surprising thing you discovered in the course of writing the book? Leslie was always playing with the press. He saw no need to be totally honest about everything they threw at him. He valued his privacy. So some of his answers (that have so far been taken as gospel truth by the fans) were not quite as truthful as people have believed. I don’t blame him for that, but it may upset some of his fans! It is indeed a great effort by the author to feature and portray the life of a Hong Kong controversial ex-superstar 'Ko-ko' Leslie Cheung, for his English speaking-educated fans from around the globe. Apart from his sexuality, Leslie Cheung was famous and remembered for his powerful vocal with lots of canton hit songs during his era, outstanding showmanship, superior acting, a fabulous good looking, and a wonderful charismatic person.